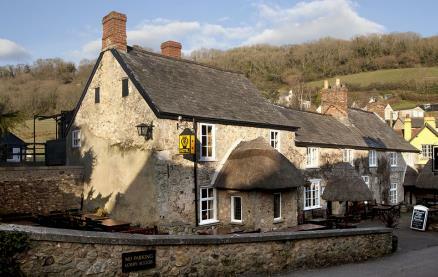 Nestling in the heart of Branscombe is the award winning 14th century inn, The Masons Arms. This charming thatched inn offers an ideal base to escape the stress of modern life and enjoy the magical vista of sea, beaches and the spectacular walks offered by Devon and Dorset's Jurassic Coast. At The Masons Arms food is a serious business. 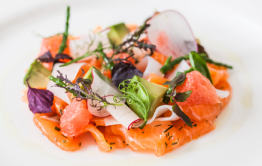 The kitchen team sources fresh, seasonal and local ingredients whenever possible to produce dishes that successfully combine the classic with the modern. The cooking is classy yet simple, perfect for a special meal or a relaxing lunch. The extensive menu, accompanied by several daily specials, can be enjoyed in the waiter-serviced (evenings only) restaurant, cosy bar area or weather permitting outside in the peaceful village surroundings. There is also a quieter room upstairs, where meals can be enjoyed away from the main bar. 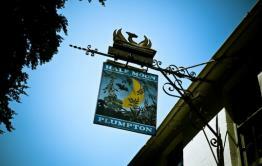 Be the first to write a review and share your experience at The Masons Arms with other diners.